Bryggen in Bergen is world famous and attract every year around one million visitors. The old wharf of Bergen is a reminder of the town’s importance as part of the Hanseatic League’s trading empire from the 14th to the mid-16th century. Today Bryggen includes restaurants, artists' studios, craftsmen’s workshops, small boutiques and even offices. Many fires, the last in 1955, have ravaged the characteristic wooden houses of Bryggen. The rebuilding has traditionally followed old patterns and methods, thus leaving its primary structure preserved. These methods are a relic of an ancient wooden urban structure, which once was common in Northern Europe. Today you will find 62 of the old buildings left in the townscape. Do you like fish for lunch the Fish market in the best place to visit? One of the "must do" things when you visit Bergen. The Hanseatic Museum is a beautiful old building on Bryggen in Bergen. 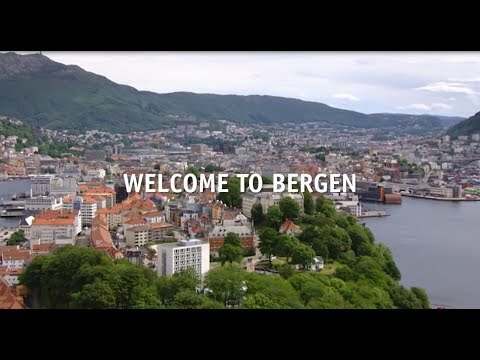 Experience the atmosphere about how it was to live in the 1800s Bergen when you visit this beautiful natural place. Meet the sea lions, crocodiles, fish and the fascinating snakes in more than 50 large and small aquariums. Bergenhus is a distinguished landmark for those who arrive in Bergen by sea. Floien Folkerestaurant has a distinctive architecture and unique location 320 metres above Bergen town. A restaurant offering exquisite menus for both small and large parties in beautiful, historical surroundings at the Hanseatic Wharf in Bergen. With its distinctive traditional character and cosy candlelit atmosphere, the restaurant offers seasonal menus and the freshest produce. Finnegaardsstuene is possibly the most intimate restaurant in Bergen, and is perfect for private parties. The restaurant with the most breathtaking views from the fjords. Get inspirations for good offers in Bergen. Get inspiration for shopping in Lagunen. Visit one of the most interesting and centrally located malls in Bergen. Norway's oldest shopping centre and Bergen's leading fashion house. Enjoy panorama view over Bergen- Capital of Norway Fjords.